Game On Flag Football was launched in Madison last Spring and was a huge success which leads it to expand to 5 towns this Spring- Orange, West Haven, Southington, Deep River, and Madison. 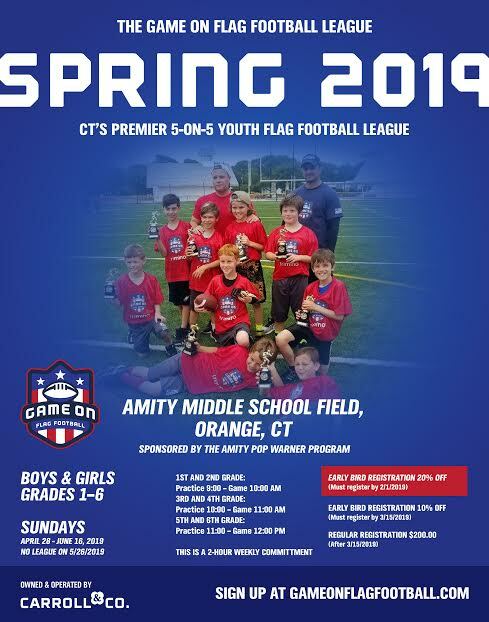 The Orange league is sponsored by Amity Pop Warner and the Site Director is Amity’s head coach, Coach Bruno. The league is open to boys and girls in grades 1-6 from any town. Once a child is registered for a specific town, the child will play in that same town for 7 consecutive Sundays. This is a two-hour commitment each Sunday, kids practice for one hour before playing for one hour. The league starts on Sunday, April 28 and ends on June 16 — participants are not playing on Memorial Day. The kids’ teams are coached by Amity Varsity football players and parent volunteers. Registration is $200./child and includes instruction, play time, compression jersey, shorts, and a cinch bag. 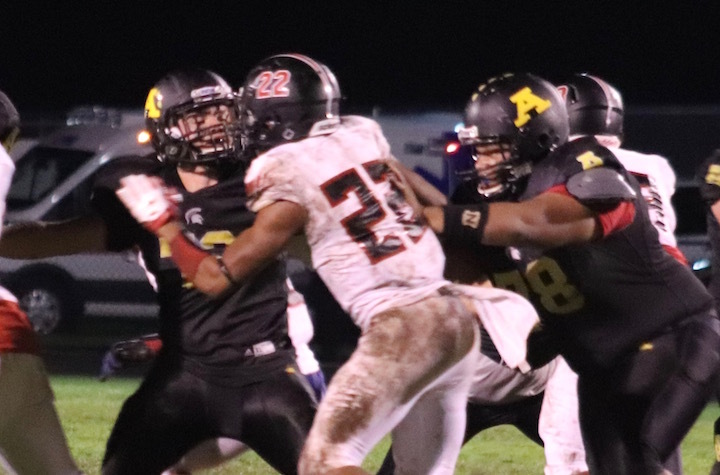 Football: Another Win For The Amity Spartans! Amity High School, Around Town, Home, Latest News, School News, Sports Comments Off on Football: Another Win For The Amity Spartans! For the first time in years, the Amity Spartans Football team is on fire! Yes, Amity, although none of the regional sportswriters paid much attention or included them on any of the “who to watch” pre-season lists, they are recognizing their potential now. Amity is 3-1 for the season, and fans are really pumped for the first time in five years. Last week, Michael Young made three touchdowns for the Spartans in a 27-18 victory over Hillhouse. On Thursday, Sept. 27, the Spartans hosted Wilbur Cross, and it was junior defensive end Joey Digello’s turn to shine. 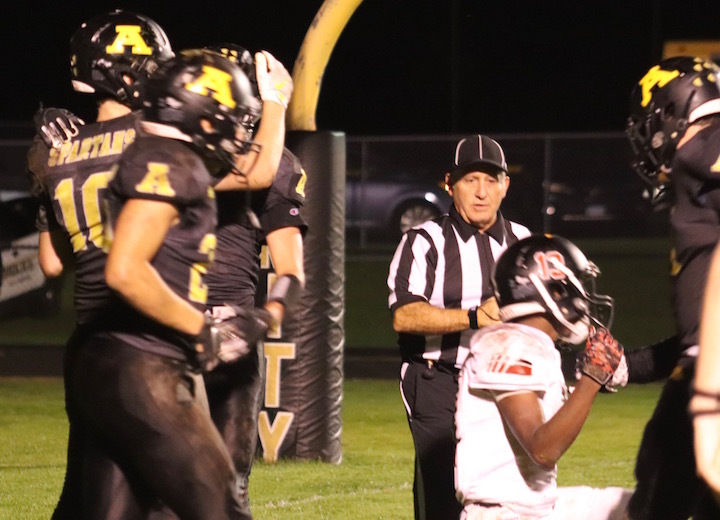 He put Amity on the scoreboard in the first quarter with a 14-yard run. 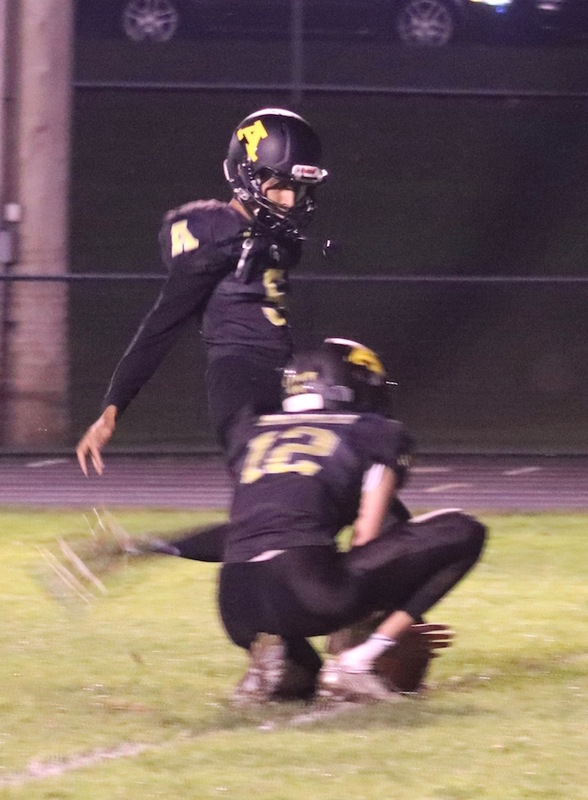 Fellow Junior Abyan Nawaz, one of the best kickers since Lyle Luth graced the field, got the extra point. Digello flew across the goal line in the second quarter for his second touchdown, followed by Nawaz’s perfect kick. With 3:25 remaining in the half, Jasiah Barnes scored for Wilbur Cross. The extra point kick was no good. In the third quarter, Wilbur Cross’s Leshaun Hicks scored on a 40-yard run. The extra point attempt failed. It’s fantastic that our junior players will still be here next season. They are so powerful this year, and we will be in great shape if they carry that skill over to 2019. The third quarter had one of the most exciting plays in the game. With with 4:18 remaining, Quarterback James Laubstein made a flawless 85-yard pass to Jake Forschetti, who dodged and weaved past the Governors’ defense for a touchdown. The extra point was no good. The Spartans kept up the momentum in the final quarter. With 10:25 remaining in the game, Jake Lettick made a 29-yard touchdown and the kick was good. With a 15-point spread, it would be very hard for the Governors to win this battle. Wilbur Cross made a valiant effort from the 1-yard line in the final 5 minutes of the game, but Amity rallied and prevented them from moving forward. 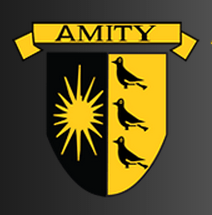 Amity advances to 3-1, Wilbur Cross falls to 2-2. On Sept. 15, Orange Live highlighted the positive actions of player Joey Digello, who took the time to help a Foran player to his feet after a play. What I observed at this game was the wonderful sportsmanship displayed by both the Spartans and the Governors. Even the biggest defensive player from Wilbur Cross took the time to stop and extend a hand to one of our Spartans. This action was repeated time and time again on both sides. When a player was hurt and down on the field, players from both sides took a knee until he was back on his feet. Even the cheerleaders were awesome. After our Cheerleaders and Dance Team performed at halftime, the Wilbur Cross cheerleaders shook their pom-poms and screamed their approval. This was a terrific feel-good game for anyone looking for the “extra moves” on the field and sidelines. It reminded me of Sept. 12, 2001, when everyone was just a little kinder (before some of these kids were born). I commend the coaches and parents of all the players (and cheer-dance) members for their positive influence on these young people. YES! Big Week For Amity Athletes! 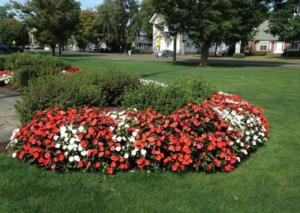 Amity High School, Around Town, Home, Latest News, School News, Sports, Today's Events Comments Off on YES! Big Week For Amity Athletes! This has been a great week for our Amity sports teams as the Fall Season begins. On Thursday, the Lady Spartans Swimming and Diving Team won its first meet vs Mercy 106-77. Tonight, the Girls Volleyball team defeated Branford 3-0. And the Amity Spartans Football team was victorious against Harding 26-8. Congratulations to all these fabulous teams, we’re so proud of you! Great Job Coaches Rainey, Davis, and Bruno!